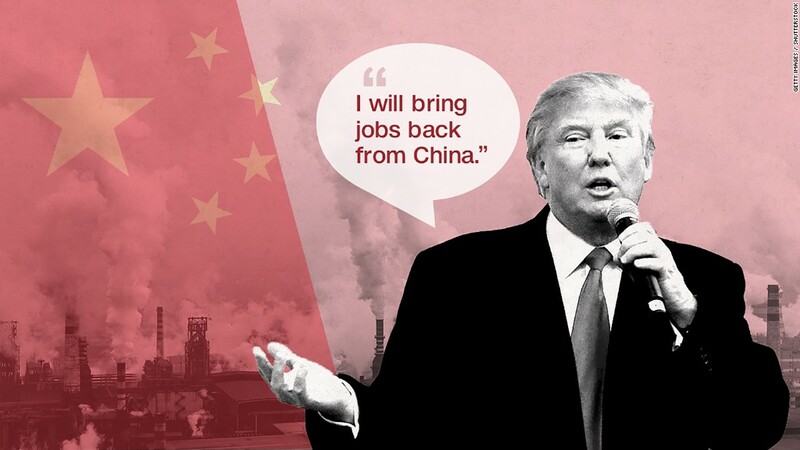 Protect American jobs by getting tough on China. That's the underlying idea behind President-elect Donald Trump's threat of a 45% tariff against China as a ploy to bring jobs back to America. Before pursuing that strategy, however, Trump might want to check out what happened when his predecessor tried that. President Obama slapped a stiff 35% tariff on Chinese tires in 2009 after American companies complained about unfair competition. They said China was flooding America with tires at low prices making it tough for U.S. companies to compete. The tire tariff gradually waned, and finally ended in 2012. The tariff saved 1,200 U.S. tire jobs, which had been in sharp decline. And U.S. tire production rose after a major decline. "Over a thousand Americans are working today because we stopped a surge in Chinese tires," Obama said in his 2012 State of the Union address. But a study from the Peterson Institute of International Economics found that the tariffs cost Americans in many other ways. Americans paid more for tires. Some Chinese-made tires cost as much as 26% more -- rising on average to $39 per tire, from about $31. And U.S. tire makers, facing less competition from China, also raised prices on American-made tires 3.2%. According to Peterson's model, higher prices from the tire tariff cost Americans an extra $1.1 billion, which translated to an estimated 3,731 retail jobs lost. 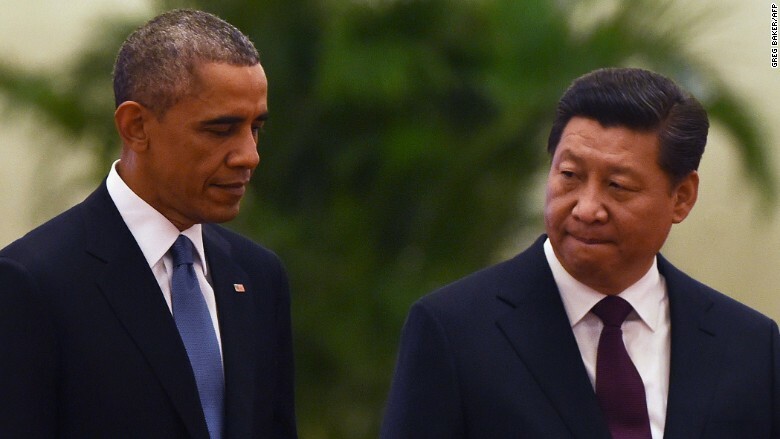 Plus, China fought back by imposing penalties on U.S. shipments of chicken parts. The Peterson study estimates that China's retaliation cost American chicken producers $1 billion in sales. "Tire safeguards did not change Chinese policies in a helpful way, nor did they boost U.S. employment," wrote Gary Hufbauer, a trade expert at Peterson, who authored the report. Indeed, the tariffs didn't bring the tire-making jobs back to previous levels -- a similar trend that's played out for the rest of U.S. manufacturing. But they did help to stem the job losses. In 2008, there were about 60,000 American workers making tires. Now, there are about 55,000. That's better than the low point reached in 2010 but not back to pre-tariff levels. An Obama administration official, who requested anonymity, disputed some of the calculations and assumptions in the Peterson study. For instance, the official claimed tire prices did not go up by as much as the study claims. Hufbauer said no one until now had contested any of his analysis in the four years since it was published. He noted that the administration official didn't provide an alternative estimate for price changes. Republican presidential nominee Mitt Romney criticized Obama for the tariffs in his 2010 book "No Apology." "President Obama's action to defend American tire companies from foreign competition may make good politics by repaying unions for their support of his campaign, but it is decidedly bad for the nation and our workers," Romney said. U.S. tire makers still applaud Obama's tariffs. Morry Taylor, CEO of Titan International, a U.S.-based tire company, is one of them. "He did what he should have done and he should have done more of it," says Taylor, who voted for Trump. His company has plants in Ohio, Wisconsin and Illinois (they also have operations in Brazil and Russia). Taylor argues that if the tariffs weren't put in place he might not have any business today to speak of. By 2012, Taylor still had 1,800 tire-making workers, about the same amount as before the tariffs. Today, however, his firm only has a little more than 900 workers. His problem today is what he describes as unfair competition from India, where firms make cheap tires and sell in the U.S. at prices he can't afford to sell at. He hopes Trump considers higher tariffs on tires, saying it would save jobs. To be clear, Obama wasn't trying to "bring back jobs" so much as protect the ones already in America, which he accomplished. Trump wants to bring manufacturing jobs back from other countries. Some trade experts believe that would be difficult task, since many of jobs overseas are low-skill positions and many U.S. manufacturing firms now want highly skilled employees. In any case, U.S. tire production recovered but didn't surge. Instead, U.S. tire imports from all other countries excluding China rose dramatically, Hufbauer found. In other words, the Chinese tire jobs didn't come to the U.S. -- they went to the next cheapest countries. In the end, Hufbauer argues the tariffs didn't make a difference. "The best thing about the tire tariffs is that they expire," Hufbauer wrote in 2012.